Foiling Clear Toner Sheets for your shaker cards or to step up your backgrounds is so quick and easy. Thermoweb's pre-printed designs are so fun and whimsical and I love creating with them. 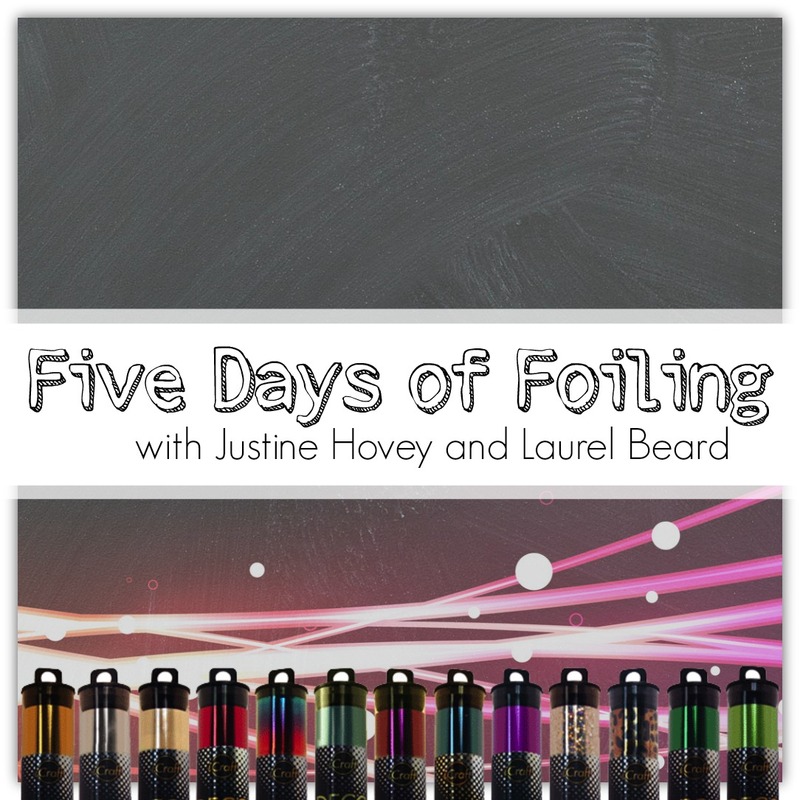 Don't forget that the Five Days of Foiling is a collaborative event with the great Laurel Beard, you can see here. Shaker Cards are so much fun to make! I love the Twinkling Pink foils paired with the Distressed Stripes Sheets, the little details in the foils are just simply gorgeous! 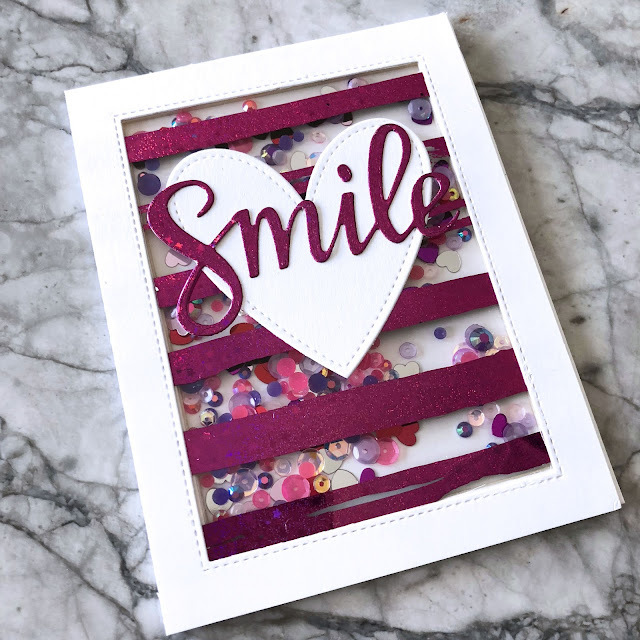 I used some of my favourite embellishments from Pretty Pink Posh and added on the heart and smile die to finish it off! You can also add Toner Sheets to coloured cardstock like this Kraft cardstock by Gina K Designs! The beautiful colours just pop and I love that I used a tape runner to adhere this and you don't see the glue at all! 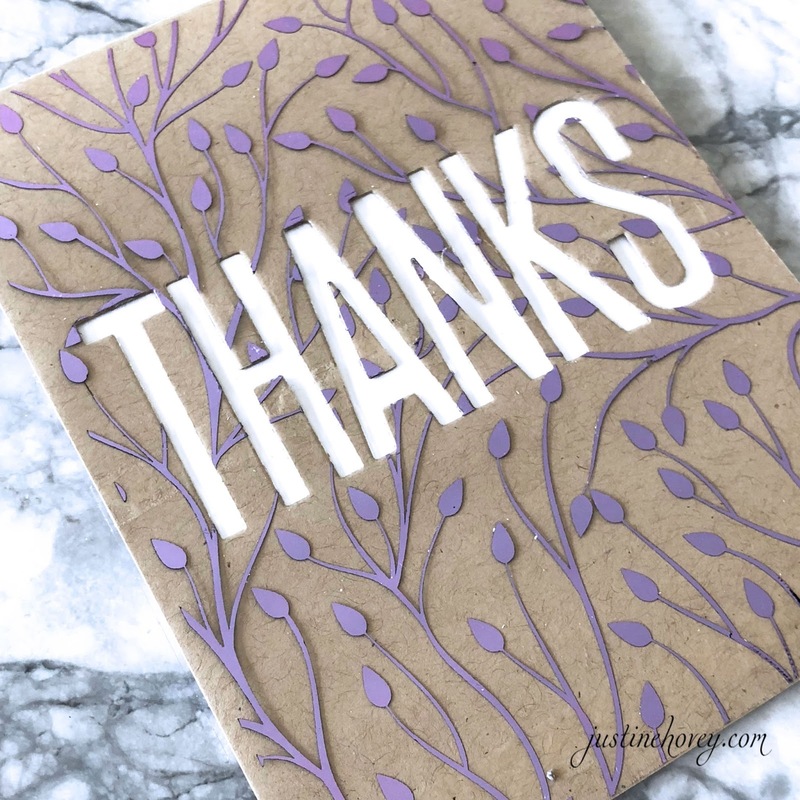 I'm not a big fan of waste so when I cut the Thanks out of the Kraft cardstock, I added those letters onto a white card panel. I recently purchased these sheets and I’m really excited that you reminded me on how to use them. I had not seen these before ... acetate and foil. Thanks for sharing. The pink shaker card is pretty and fun. Thank you for sharing. I enjoyed your video today. I had not seen the clear acetate sheets for foiling. Your shaker card is nice, even if you forgot a step. Great save! Your cards are gorgeous. Love, love, love those acetate sheets. Thanks for sharing your cards with us. I can't wait to get some of the acetate sheets! Such cool cards as always! I really enjoy watching you create. I love the sparkly foils! The shattered glass foil is amazing, especially against the black card stock! 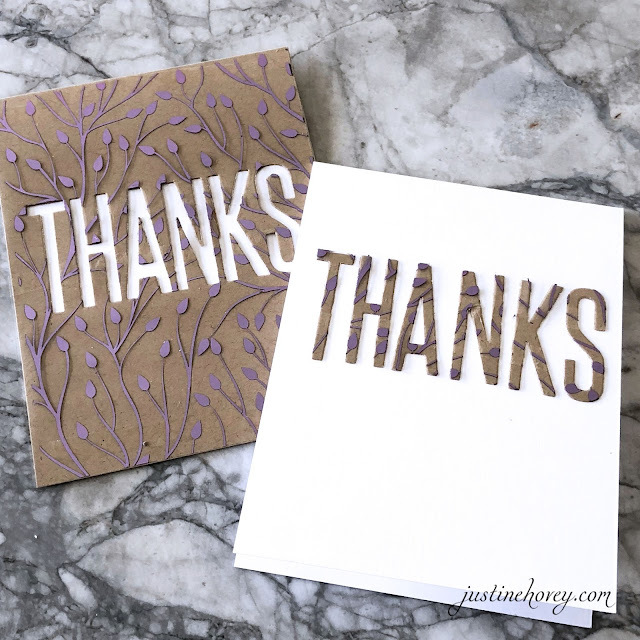 I love how your cards turned out and I'm appreciative that you show your process, including how to fix mistakes! Such gorgeous cards. I had no idea how many things you can do with foil. The foil is awesome and so are your cards, thanks for doing this series. 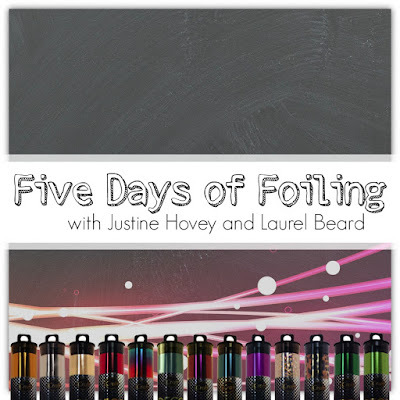 I would love to try foiling. The results look as though it would be hard, but you make it look easy. Gorgeous cards again today! Love the foiled acetate sheets. Didn't quite get how they worked before today but your video tutorial explained it well. Love the shaker card! Gorgeous cards! I especially love the positive and negative of the leaf design - fantastic! I'm glad to know I'm not the only one too make boo-boo's! Love your card today .I can't wait to get my hands on those acetate sheets! I really like the acetate sheets, do you know what heat setting to use with them using a Minc? Love this new idea of foiling on acetate. Beautiful cards. Another great video, Justine. I have not tried the acetate toner sheets yet, but seeing these cards is getting my creative juices flowing. Thanks for sharing! The clear sheets are crazy popular and seem to be sold out. Great idea and beautiful resulting cards.